An eclectic club that represents Porto and Portugal with 115 years of history and much more to honor its past. 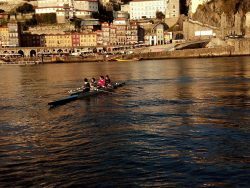 When in 1904, José Marques Barbosa and José Meirelles, two young rowers founded a club, they never imagined that past all these years the centenary Sport Club of Porto would become one of the most eclectic national emblems, with sporting facilities on both embankments of the Douro river. It’s this territorial dispersion and equipment, combined with the wide range of modalities – handball, bodybuilding, dance, adapted sports, motor sport, fencing, fitness, football, gymnastics, dumbbells, horseback riding, field hockey, rugby , paddle tennis, figure skating, tennis, sailing and volleyball – which make Sport a unique case in the world of sport, but also in terms of promoting tourism. 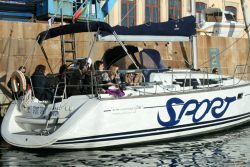 From the Freixo Marina to the Centro de Vela, in Leça da Palmeira, from the Centro de Remo in Gaia to the Equestrian Center in Prelada, there is no lack of choice ​​for those who seek in this metropolitan area much more than the usual tourist itineraries, which complemented by the its wide range of sporting facilities in the City Park, makes our club a ‘host’ of excellence, with unparalleled equipment on such a large scale in all these municipalities where it is distributed: Gaia, Matosinhos and Porto. All this high level structure implies an unparalleled 115-year sporting history, translated into many national titles in the most diverse modalities and constant presence of some of our most brilliant athletes in European Championships, World Cups, World Championships and Olympic Games. Among the many names that have passed through Sport, we remember with pride the filmmaker Manoel de Oliveira who long before being an inescapable personality of the world of cinema was also a Sport athlete in many modalities. In addition to being triple pole vault champion and racing driver, together with his brother Casimiro they took part in our first circus company. 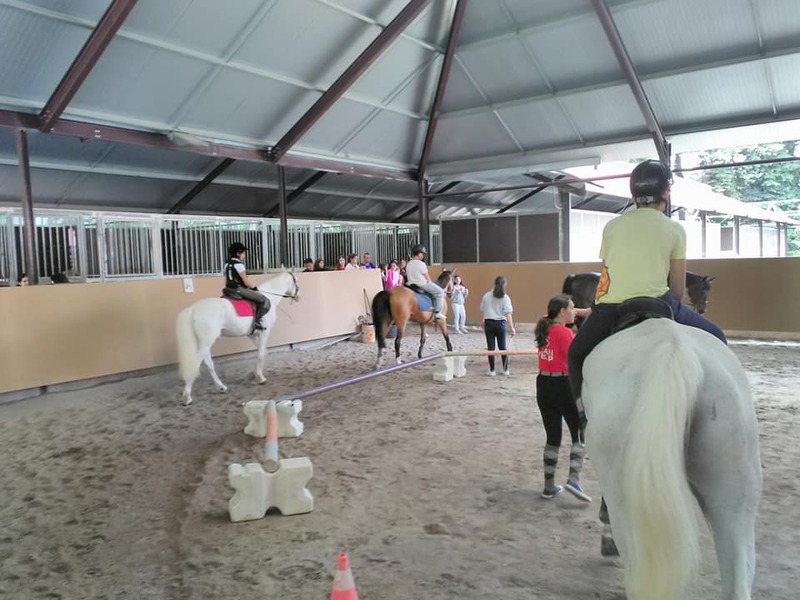 Sport has played an unparalleled role in the formation of successive generations of young people who inhabit this metropolitan area or who at some point in their academic life have also passed through Porto. – What can people expect from this exhibition in Porto? The exhibition covers the entire artistic career of MC Escher, starting from the early works that reflect the influence of his teacher, Jesserun de Mesquita, a major exponent of the art nouveau in the Netherlands. An important space is dedicated to the italian period, the nocturnal images of Rome, the southern Italian landscapes and studies of nature. In the following sections the most famous works are represented: the tessellations, the impossible buildings, ribbons, regular solids, reflecting surfaces and metamorphosis. The exhibition continues with occasional works that MC Escher created on commission such as bookplates, greeting cards, postage stamps and more. The exhibition closes with a large space devoted to the Eschermania. Here, evidence of the influence of MC Escher on the iconography of the 20th and 21st century. Book covers, psychedelic posters, LP covers, comics, magazines, videoclips and works of contemporary artists who were inspired by MC Escher. Throughout the exhibition a series of experiential games leads the visitor into the world of MC Escher. 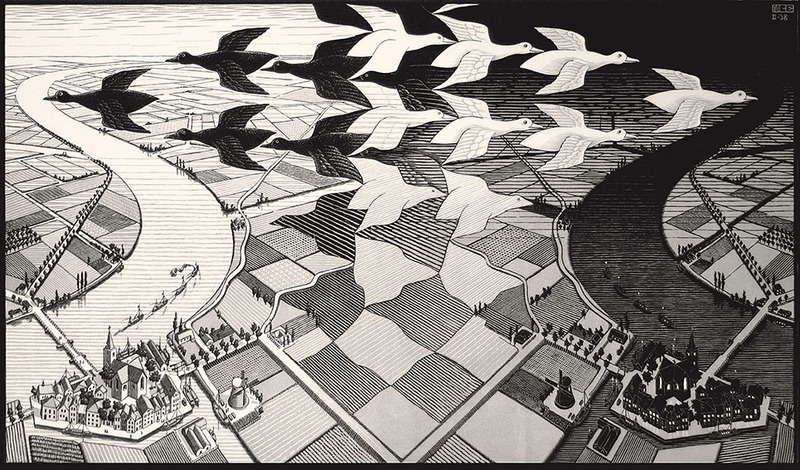 They experience the paradoxes of perception encoded by the laws of Gestalt and physically enter into some of MC Escher’s works. 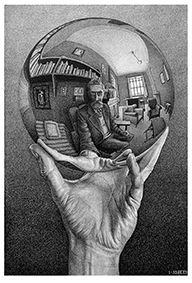 – How would you define Escher’s art? The art of MC Escher can be interpreted in layers. At first wonder prevails, then if you look deeper you will discover more and more details: paradoxes of perception, mathematical structures, references to the Italian landscape and to the great artists of the past. Every time I set up an exhibition, even having seen the works hundreds of times, I always discover something new. – Which are his main references? The main influence especially in his early work is certainly to be found in the art of his master, Jesserun de Mesquita, who was an important exponent of the Dutch Art Noveau. Later in Italy he came into contact with exponents of Futurism, in particular with the art movement called ‘Areopittura’ who loved to depict scenes and landscapes from above with an unusual use of perspective. In the later works the greatest influence came from the contacts with the world of mathematics, especially the correspondence with important mathematicians such Roger Penrose or Harlod Coxeter were the basis of many of the iconic works. – Escher is intriguing, disturbing, disconcerting, a true genious. Do you agree? Yes, his work captures many of the trends in the technological society. Modern scientific theories such as the theory of relativity and quantum physics have profoundly changed the way we see the world. The world is not as it appears, on a very large or very small scale it can be very counter-intuitive and paradoxical. MC Escher, through his tessellations and impossible structures, opens a window that allows us to grasp the complexity of the world. Tiago Pinto Leite is a 50-year-old entrepreneur with a 30-year curriculum in catering, bars and nightclubs. Opened spaces such as Voice Club, Twins foz, River Café, Chic and Stox Club. Having collaborated in the creation of Industria Club, Estado Novo, Praia da Luz and Cais 447 and many more.. The city is today fertile ground for a night out . In the center of Porto,there now exists a more diverse and vaster choice, vertualy door to door that grows in size from year to year. Here is my suggestion for an unforgettable evening. If you have a late dinner reservation and would li9ke to enjoy a drink before dinner, I advise you to start at the BASE. Overlooking the Clérigos Tower, a space with gardens and terraces. Great atmosphere during the summer months. Then dine. And here are two suggestions not too far from each other. The FLOW of Mediterranean cuisine with a beautiful and exotic decoration, with a beautiful outside patio, known for its cosmopolitan atmosphere and wonderful food. Or the GOOD BAO, Thai food and great cocktails. 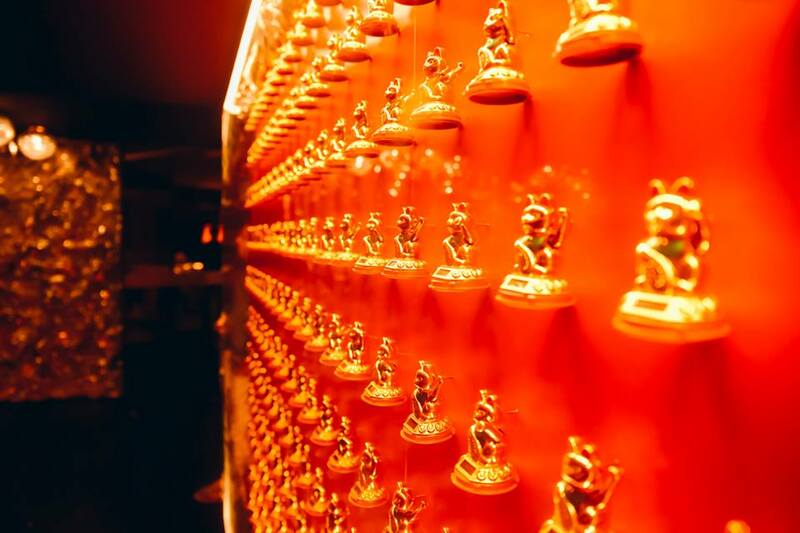 Its decoration transports us to an oriental environment and known for its friendly service.. As they do not accept reservations, it is advisable to go early. After dinner nothing like going to the Vogue Café, door to door with the beautiful Hotel Infante Sagres, a space full of charm, decorated by the respected decorator Paulo lobo. To get in step for the night my suggestion is the HOUSE OF THE BOOK. One of the oldest bars in downtown Porto, beautiful and cozy decoration. 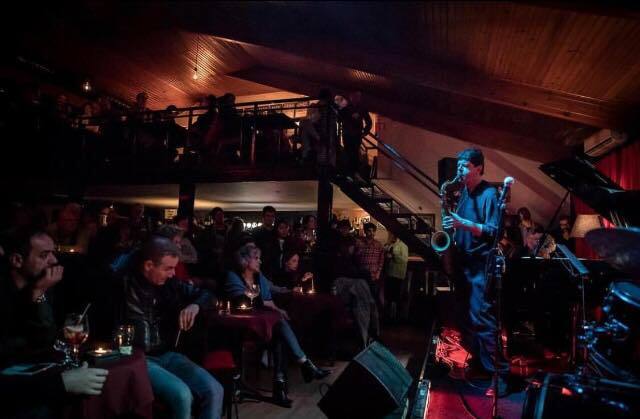 With a great atmosphere and live music most nights and Dj´s at the weekends. If you prefer Jazz or Blues my suggestion is the HOT FIVE JAZZ AND BLUES CLUB. 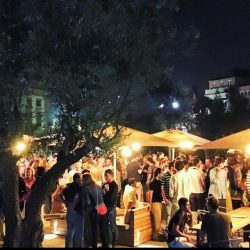 And to end in great style go to the Disco PLANO B – A space with a far-out deco, with two floors, two distinct areas with DJs, one more pop / rock / funky and the for electronic music lovers. There are great names in Portuguese and international electronic music. It is perhaps the most frequented space by tourists! At nights end grab a snack at one of the many outdoor food stands, Have fun in the city and remember that there is always more to discover. 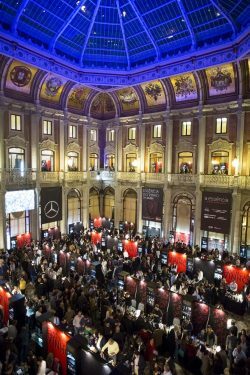 Created for the first time in 2004, ESSÊNCIA DO VINHO – PORTO is an organization of Essência do Vinho and Revista de Vinhos, in partnership with the Associação Comercial do Porto, which is held once again at the Palácio da Bolsa from 21st-24th February. The last edition of the event received over 20,000 visitors, 35% of which were foreigners. Promoted since 2004, this event is considered as the main wine experience in Portugal, testing thousands of references from around the world and promoting a program that includes dozens of activities carefully planned to offer a unique experience to all who participate , from producers to professionals and consumers. 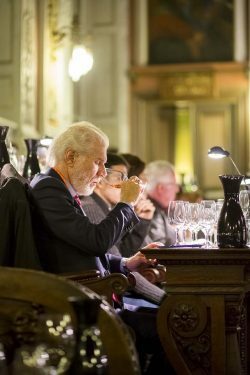 In this 16th edition, participants will be able to discover and be amazed by the possibility of tasting over more than 3,000 wines from 400 producers, from all Portuguese and international wine regions, in one of the highlights of the event that allows establishing or developing contacts with key players of the industry and know the backstage steps of production. Four days dedicated to the knowledge and awakening of senses, with rare and exclusive labels presented by renowned experts invited to masterclasses, commented evidence, , the sharing of experiences and tasting of snacks, in a relaxed atmosphere. 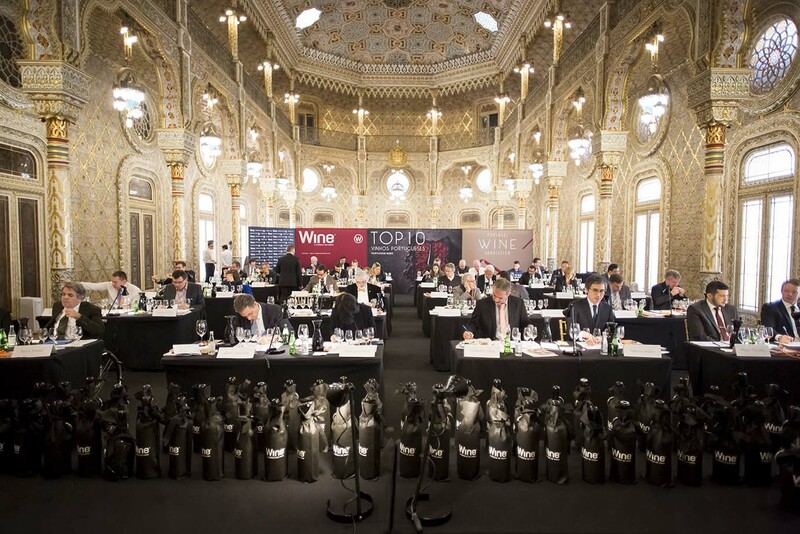 Amongst the masterclasses and tastings mentioned, the highlight being the “TOP 10 Portuguese Wines – Wine Magazine”, which will bring together a selection of the best wines by a prestigious international jury of the Wine Magazine in the Arab Hall of the Palace of the Stock Exchange. Composed of journalists, wine critics and sommeliers, the panel will choose the best white wines, the best red wines and the best fortified wines. 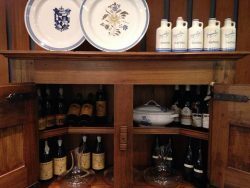 WINE ESSENCE – PORTO will be held from February 21st, from 3:00 p.m. to 8:00 p.m., on the 22nd and 23rd from 3:00 p.m. to 9:00 p.m. and on February 24th from 3:00 p.m. to 8:00 p.m., in a joint organization by Essência do Vinho and Revista de Vinhos, in partnership with Associação Comercial do Porto. Tickets for ESSÊNCIA DO VINHO – PORTO are now available at www.essenciadovinhoporto.com/pt/informacoes-uteis. The admission costs € 20 daily and includes a Riedel tasting glass. Tickets bought on site on the days of the event will cost € 25. 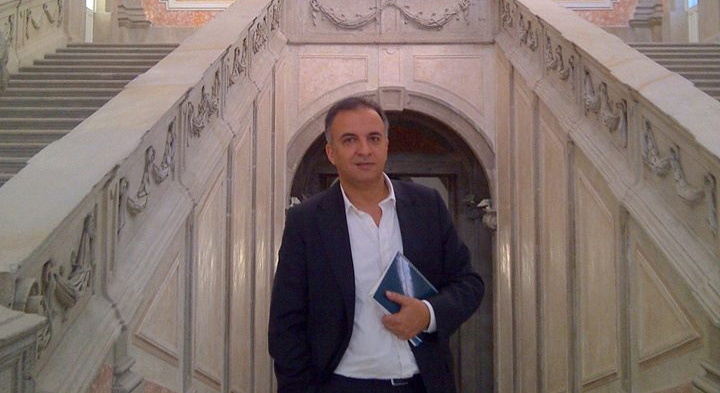 Recently elected President of Turismo Porto e Norte, Luís Pedro Martins holds a degree in Equipment Design from ESAD and a postgraduate degree in Marketing Management from Porto Business School of the University of Porto. Hey Porto is an essential publication for visitors to Porto. As the first newspaper for tourists to strategically pinpoint news, translating their texts, thus facilitating access to information. I hope that they will soon expand the scope of action to the rest of the Northern region of Portugal. Having much to report and share due to the fact that we are talking about one of the most beautiful regions of the country, with unique experiences, rich in gastronomy and wines, cultural heritage, traditions, nature and an extraordinarily welcoming people. In response to the inquiry put to me, it is difficult to choose just one restaurant in the city of Porto and considering my new functions, let me at least indicate some of the neighboring counties. 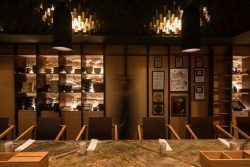 It is important to mention that the North of Portugal has hundreds of good restaurants, proof of this are the many awards won by our restaurants and Chefs, including the prestigious award of Michelin Stars. In Porto, for regional gastronomy, without a doubt the “Cozinha do Martrinho”. In another, more contemporary aspect, the “DOP”, the “Muda” o “Reitor” and the “Xico Quijo”. 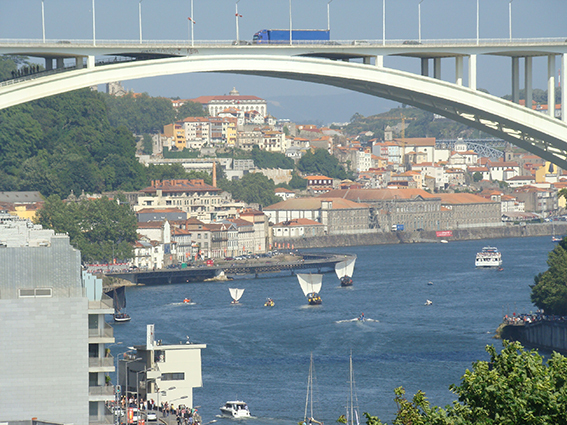 In Vila Nova de Gaia the “Zé da Serra” and “Ar de Rio”, in the latter one can enjoy the best view of the city of Porto. In Matosinhos, also for regional gastronomy, “O Gaveto” and “A Marisqueira de Matosinhos”, among dozens of other excellent restaurants of this county. Serralves, Casa da Musica, Palácio da Bolsa, Torre dos Clérigos, Livraria Lello,,Sé Catedral ,Paço Episcopal, MMIPO, Look at Porto, Parque da Cidade, Ribeira, Rua das Flores , Pontão da Praia do Molhe, Forte de São João Baptista and the Passeio das Virtudes. The Igreja de Santa Clara. At the moment it is undergoing restoration, but soon tourists will be able to visit this fantastic treasure, still unknown even by many portuenses. The view over the river from the Muralha Fernandina. The green Porto. In the park. It could be in the City. Listening through plantains the whispers of Nick Cave pushing the sky. Or in Serralves. Go through the Clareira das Azinheiras with Richard Serra. Cross the Alameda with Claes Oldenburg. 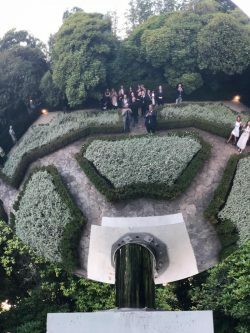 Contemplate the sky in the Roseiral with Anish Kapoor and the Sky Mirror. Feel the caress of light on the Lake and the Meadow. And end up in the Tea House as Lou Reed to drink sangria in the Park and sing “Oh It’s such a perfect day, I’m glad I spent it with you”. Miró is back home. In Serralves. 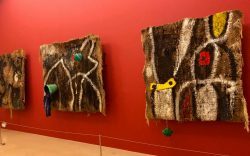 Some works from the collection of the Portuguese State, you will find paintings from the Miró and Mapfre Foundations collection. 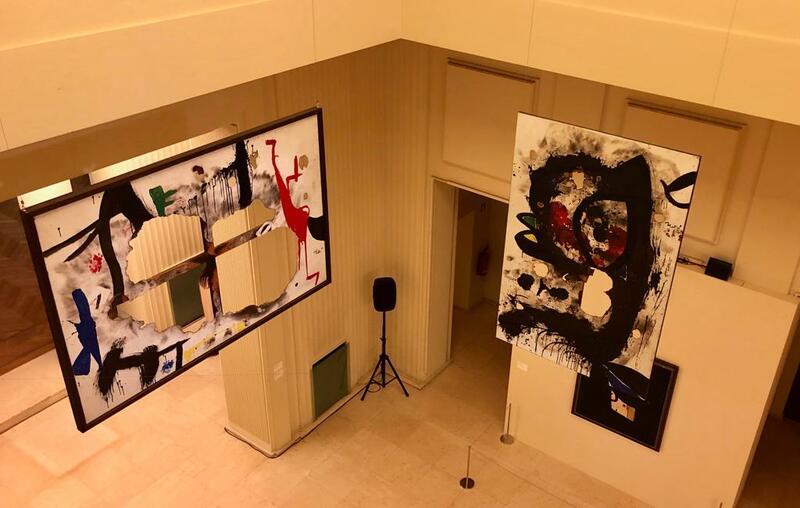 An exhibition focused on the period leading up to Miró’s grand retrospective at the Grand Palais in Paris in 1973. Tension and anger at the death of painting. Creation and destruction. Trimmed frames. Burned. Murdered. Die to be reborn, to reinvent. New materials. Ready made art. Bags, buckets, boxes of wine. Some works that were not shown for nearly forty years. And the Sobreteixims we already know of “Materiality and Metamorphosis”. “Miró and the Death of Painting”. Another great exhibition in Serralves. We are waiting for you until 3 March. The Lighthouse-Chapel of São Miguel-O-Anjo was the first lighthouse built from scratch in Portugal and one of the first in the world. It was built in 1527 in the area of ​​the Cantareira, by order of D.Miguel da Silva – King’s ambassador to the Pope, Bishop of Viseu and Abbot Commander of the Monastery of Santo Tirso. The influences brought and lived from his stay in Italy inspired the construction of what is considered the first Portuguese renaissance building. Like the Pantheon in Rome, the lighthouse chapel features a centralized plan where the sacred area lies at the center of the space. Originally, the lighthouse was embedded in the cliffs of the river Douro but in the late nineteenth century it was surrounded by the construction of the new jetty. Although it is currently closed to the public due to its poor state of conservation, it is worth visiting this monument and its context. To see in the background the sea line, to imagine all the traffic that has passed through it for all these centuries and to read closely the inscription on the stone wall that is resisting the erosion of the times. 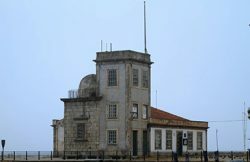 The lighthouse now awaits restoration works that will include an exhibition of the history of the monument. 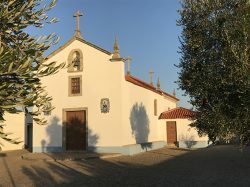 The viewpoint of Santa Catarina is, simultaneously, the width of the Chapel of Santa Catarina and Senhora dos Anjos, high in the parish of Lordelo do Ouro. The wide, welcoming area is surrounded by a stone wall that protects us from the cliff and invites us to approach. Here we are invaded by the wide view of the estuary of the river Douro. Within reach is great part of the south bank of the Douro, the garden of the Calém, the bridge of Arrábida, the green Park of the Pasteleira and the house to the sea. As we look over the wall we can contemplate the topography that descends on terraces or peer into the courtyards and gardens of the neighboring families. The square has recently been renovated and the chapel is also in good condition. In the stripped white façade, the tile figures of Santa Catarina and Senhora dos Anjos stand out. The chapel opens on Saturdays to celebrate Mass at 5pm. The late afternoon visit allows you to admire the beautiful sunset. One needs to start this journey with their belly lined. Create a wall that is prepared to protect us from the aggressions that we are about to endure. For this, there is no better than a Francesinha. The place? Requinte, still in Matosinhos, which promises to protect all those who venture out in Porto. The night is a crescendo, and if we have dinner in Matosinhos it is necessary to start to climb the Avenida da Boavista where, in the middle of it, it is obligatory to make a pit stop in the Bar 1900, in Foco. The young environment and the mystery that covers it, are signs of a promising future. There, one drinks beer, cold “minis”, or cocktails brilliantly prepared by its owner: Martins, as everyone knows him by. However, this is just a warm-up. When the sounds of the bells begin, announcing a new day, it is time to take to the sea and continue to climb Boavista towards Porto. Then the world begins. 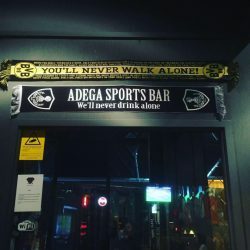 Adega Sports, Adega D.Leonor and 77 are the mandatory stops. Also, these places are not eternal and when their closure begins it is time of indecisions: go for a little dance or call it a night. For those who are willing to make their night epic, in my opinion, there is only one place to go: Boo. Refined space, many stories, where we are well served and well received, with the music of vogue and an environment of more or less general madness. However, for the less adventurous, the Rendez Vous or Porto Tónico are always good places to stretch your legs. These never disappoint and are a safe haven of leisurely play. It is necessary to finish as we started, in Rainha da Foz , accompanied by a Francesinha or some “panados à Rainha” and a beer, laughter and memories of a recent night that promises to linger in our memory. The Hotel Solverde Spa & Wellness Center is a reference of Greater Porto, the only 5 star hotel in the north of the country, located in front of the beach. 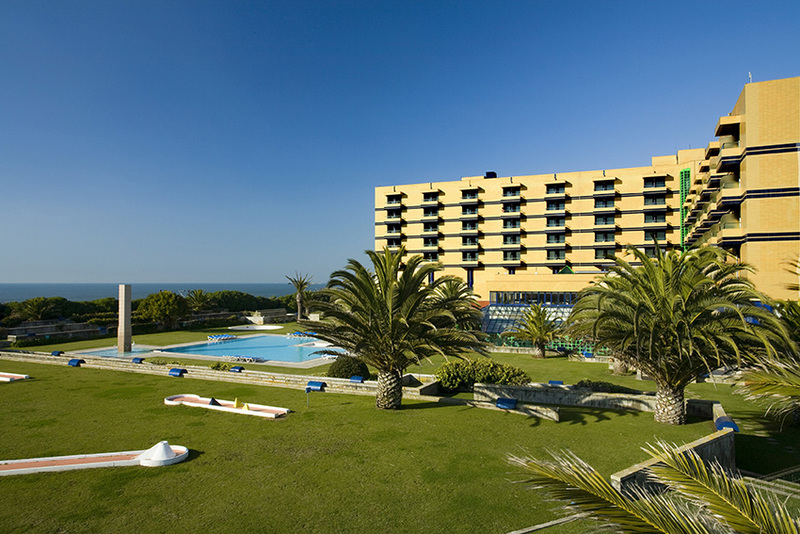 It is only two minutes from Espinho and just 15 minutes from Porto, this hotel offers the ideal conditions for both leisure tourism and business. It is set in a 2-hectare complex with direct access to the beach.The hotel provides a pleasant atmosphere of relaxation spiced with the scent of sea air and magnificent views of the sea and the surrounding landscape. The gastronomy is also one of the highlights of this Solverde hotel unit, offering a rich and varied range of the most delicious delicacies of traditional Portuguese cuisine. The Spa & Wellness Center is one of the most complete and modern in the country. It provides for the perfect symbiosis between body and mind, offering exclusive treatments, allied to the Thalgo and Terraké brands. The journey through the Casa da Irmandade (1754-1758), where the Museum is located, provides a return to the past as you get to explore spaces that once were private and destined for the daily life of the Brotherhood of Clerics. Walking through the Casa do Despacho, the Sala do Cofre, the Archives, and the old infirmary, one can see that the Museum has a collection of cultural assets of considerable artistic value from the 13th to the 20th century, which spreads through its collections of sculpture, painting, furniture and jewellery. These goods are messengers of a historical and cultural patrimony, whose function was lost throughout time but gave way to the creation of the museum. 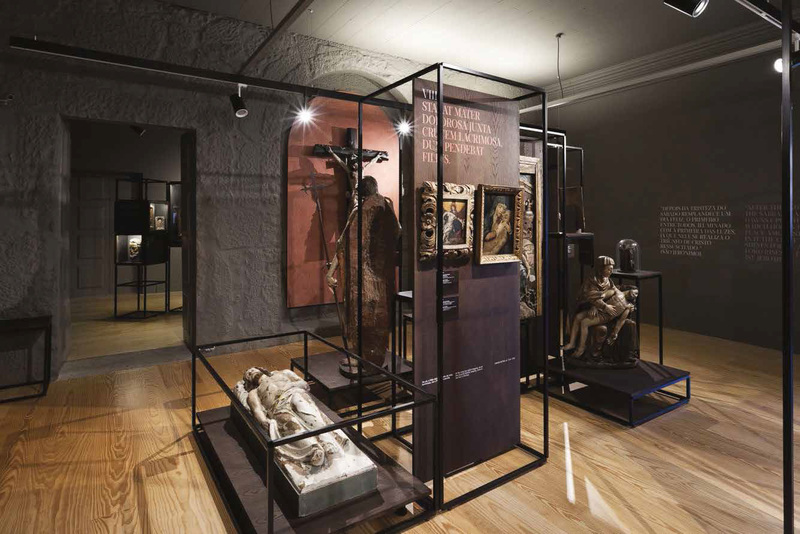 The infirmary of the Brotherhood of Clerics, which operated until the end of the 19th century and dedicated to the treatment of sick clerics, has been converted into an exhibition space and currently houses the Christus collection. This exhibition, conceived from the donation of a collection by a private collector, reveals the passion for collecting and tells a story complemented by objects, once of devotion, considered today cultural legacies of interest. They are important pieces of sculpture, painting and jewellery making that enhance the encounter of art with faith. The exhibition, distributed in three rooms – Núcleo da Paixão, Viagem das Formas e Imagens de Cristo – invites you to travel through time and space, through image and devotion. 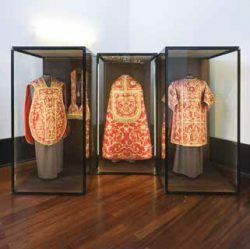 The Museum of the Irmandade dos Clérigos, is part of the Portuguese Museum Network, since August 28, 2018.